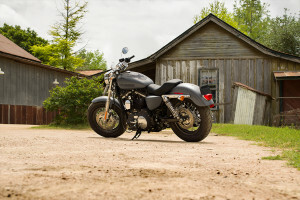 The Harley-Davidson® 1200 Custom gets a minimal, stripped down look, fun-to-ride handling, and plenty of power from its 1200cc V-Twin. 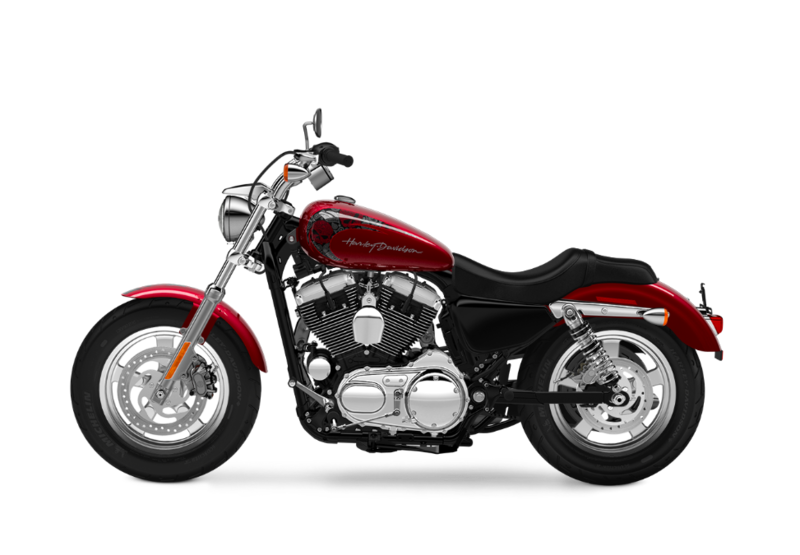 Plus, as part of the Harley-Davidson® Sportster® lineup, it’s the perfect bike for any age or level of rider. Find out more about the 1200 Custom here in the Los Angeles and Inland Empire, CA area at Riverside Harley-Davidson®! 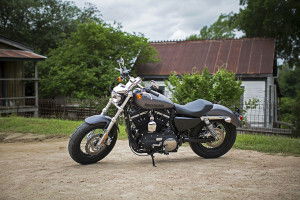 The air cooled 1200cc Evolution engine of the Harley-Davidson® 1200 Custom, which many fondly refer to as the Blockhead, delivers a solid 70.8 lb-ft of torque at 3,500 rpm. This robust engine gives you the acceleration and passing power you need whether you’re zipping around city streets or cruising the open highway. Styling: The Evolution® engine looks just as good as it performs. 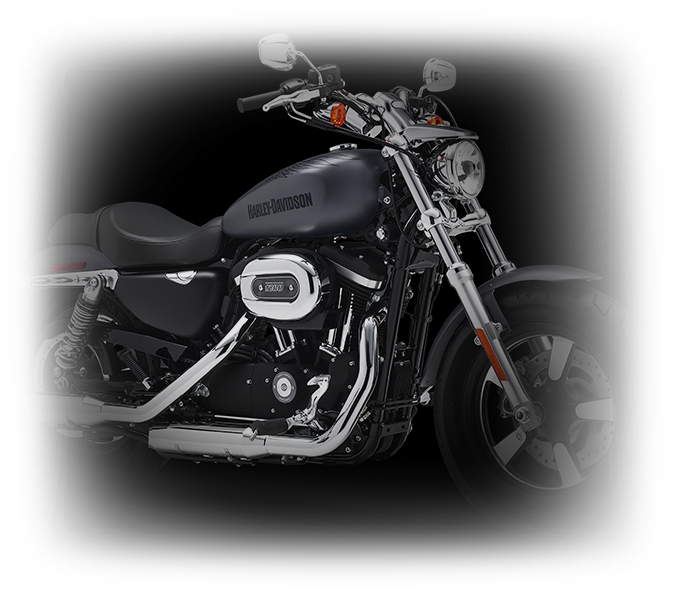 With bold, black powder-coated cylinders, gleaming chrome rocker covers, and custom 1200 badging, this air-cooled gem is loaded with authentic Harley-Davidson® style. Heritage: Offering a modern take on the iconic Shovelhead and Ironhead engines that preceded it, the Evolution® engine features the latest advanced motor tech. Air-cooled, fine-tuned, and reliable, this is an engine that will provide unbeatable performance, mile after mile. Innovation: Both performance and efficiency are enhanced by the electronic fuel injection system and the lightweight aluminum alloy cylinders and heads. 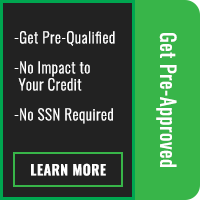 This superior engineering means less routine maintenance which is always good news for any Los Angeles or Inland Empire rider. The 1200 Custom is built to provide the kind of confidence and control you can depend on wherever your ride takes you. 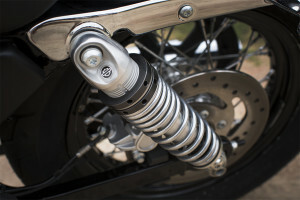 Suspension: Taking on even the roughest roads is a breeze with the new suspension system featured on the 1200 Custom. You’ll get a smooth, even ride that results in easier handling and better comfort. 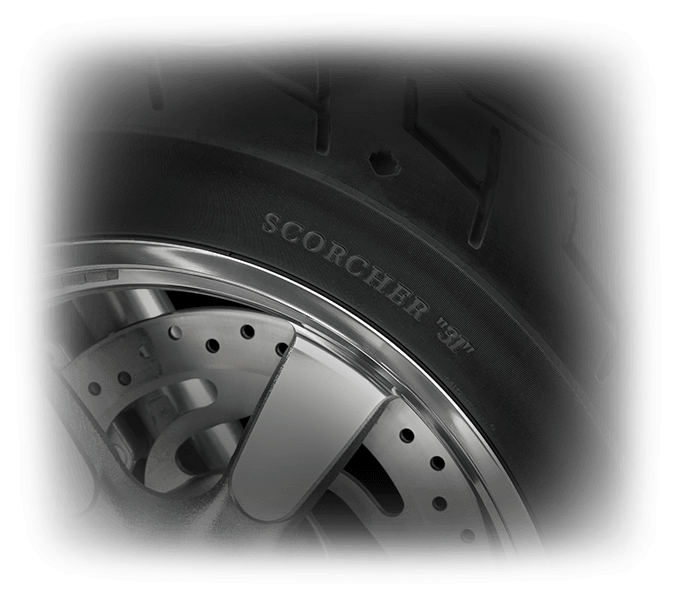 Tires: The high-performance Michelin® ScorcherTM tires provide plenty of grip for confident handling in all road conditions. Featuring a deep cut tread design, they’re the tires you want when the roads get wet. Brakes: The new Foundation Brake System comes with upgraded calipers and pistons designed to boost stopping power. The smart engineering makes these brakes thoroughly reliable at any speed. 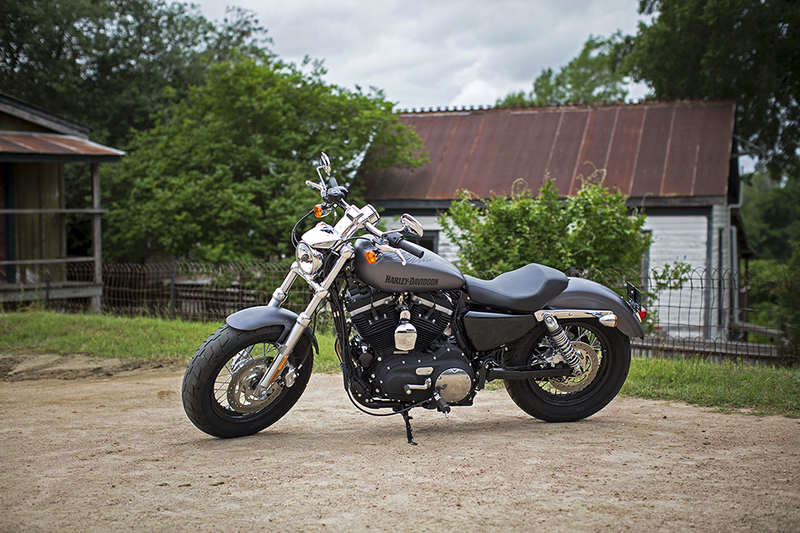 Lots of chrome and premium paint make the 1200 Custom shine with authentic classic Harley-Davidson® cruiser style. Chrome 5-Spoke Wheels: The chrome 5-spoke wheels are a real stand-out feature. Polished to perfection with a unique custom look, these wheels will draw lots of attention. Lighting: The brilliant rear LED lighting helps improve your visibility among the cage-drivers. They also hold true to the low-profile style of the 1200 Custom, keeping the fender line clean and pure. Fat Front End: Big triple clamp forks and an oversized front tire create a distinctive no-nonsense look. A throwback to classic custom choppers, the fat front end design is sturdy and loaded with attitude. 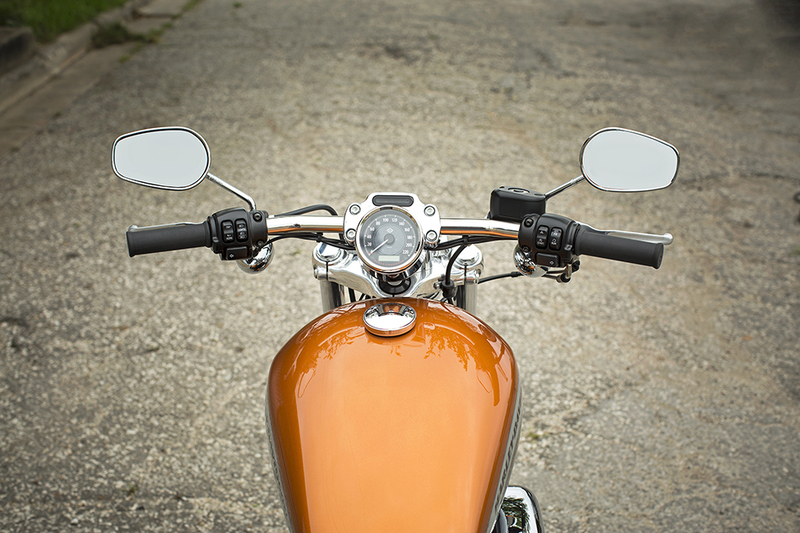 If all-day comfort for you and your passenger is something you want in your bike, then the 1200 Custom is the one for you. New Suspension: Featuring a new 39mm fork with cartridge damping, the 1200 Custom gives you a smooth, cushioned ride. The emulsion rear shock comes with a screw adjuster so you can easily set the suspension to suit your needs. Forward Mounted Controls: With convenient forward mounted controls, you’ll have plenty of room to stretch out and enjoy the ride. 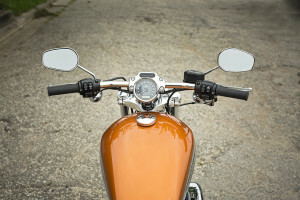 Pullback Handlebar: The chrome pullback handlebar has that classic swept-back look, and it’s set up to let you to ride in the perfect cruising position. 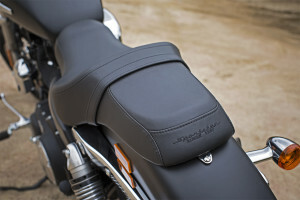 Two-Up Custom Seat: You’ll get the all-day comfort that both you and your passenger want with this one-piece two-up seat. This seat has a sleek profile that fits right into the design of the 1200 Custom. 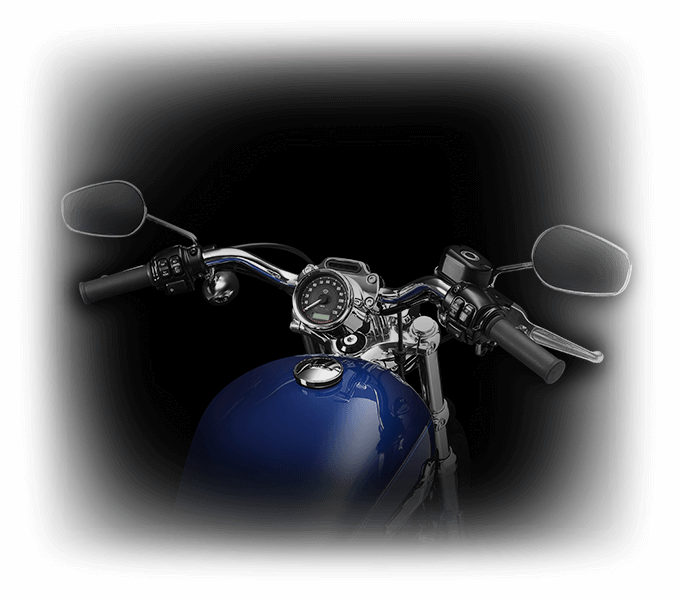 The 1200 Custom comes with a range of advanced technology features developed especially for motorcycles. Ergonomic Hand Controls: The ergonomic hand controls provide the comfort and control needed to provide you with a confident riding experience. They feature a keyless start switch, self-cancelling turn signals, trip switch, and more, and all these controls are conveniently located. Integrated Electrical System: All Sportster® models benefit from an integrated electrical system. This updated system keeps all of those bulky wiring harnesses, fuses, and switches hidden, giving the bike a clean, uncluttered look. 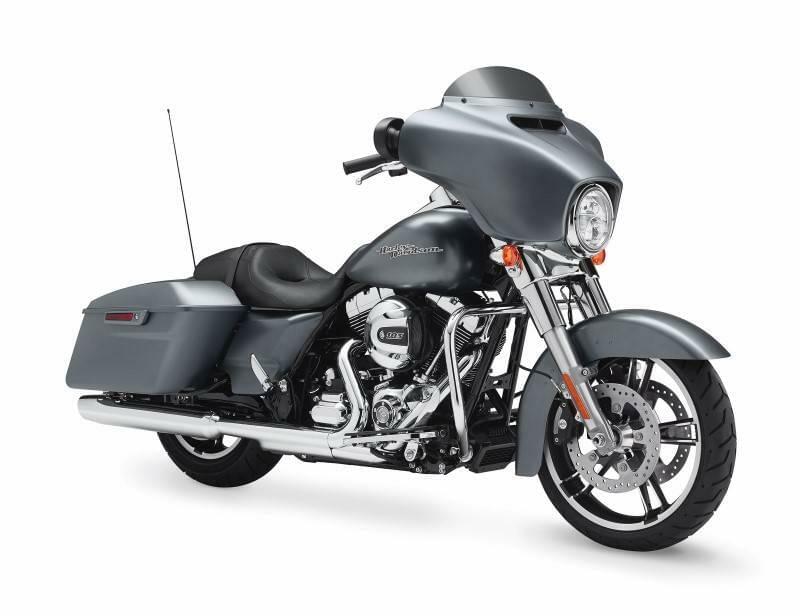 Closed Loop Exhaust System: The 1200 Custom gets a robust closed loop exhaust system that provides that signature Harley-Davidson® exhaust note while helping to reduce emissions. Tach and Gear Indicator: The tank mounted gauges include a big speedo, a tachometer, a gear indicator readout, and a convenient trip computer. 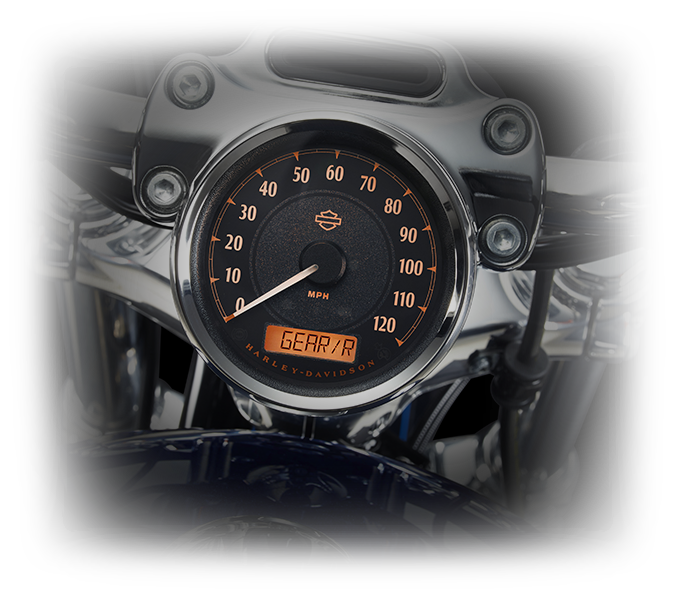 The design layout is clean and the gauges are easy to read, which is all you could ask for.